Games On Demand (GoD) will be a premier event group for Gen Con 2013 this August 15th-18th! Meaning, GoD will have the opportunity to be highlighted in Gen Con’s 2013 program guide. As well as priority placement, premium event chart listings, email blast advertising, and mentions on Gen Con’s website. GoD this year is going to be an amazing opportunity. 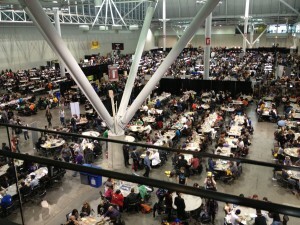 In 2012 we reached almost 1,400 player tickets and this year is only going to be bigger. But bigger isn’t always better, we also have many improvements on the way as we collected a ton of feedback last year. 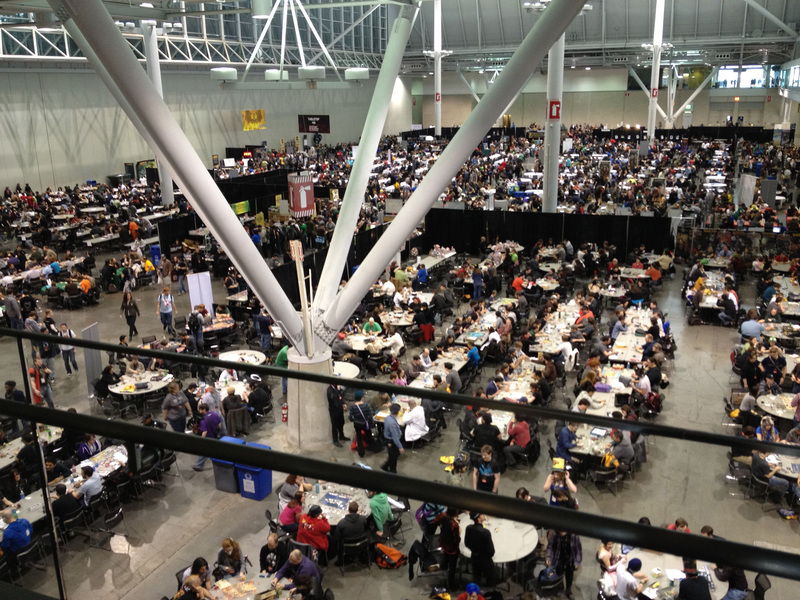 Gaming conventions typically focus on scheduled games- you buy a ticket for an event, you find your seat, you play that game. But sometimes slots fill up, you can’t find the games you want, or you don’t want to have to plan your schedule months in advance. Games on Demand gives you the opportunity to drop by and play! We’re setting this up now but you can email me at john@nerdnyc.com and I will answer your questions and forward your info to Steve.